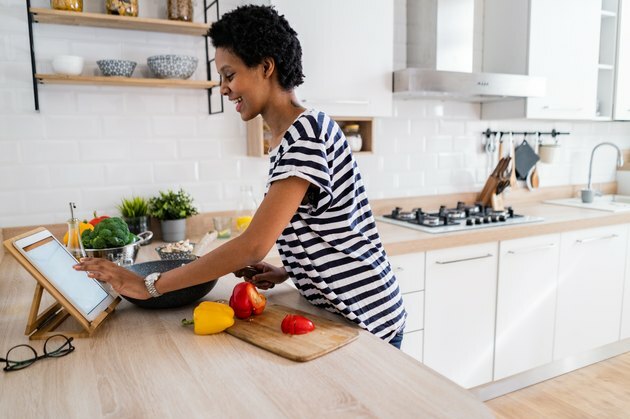 You make more than 200 choices about food each day — from what entree or cuisine sounds delicious to whether to take a second helping or grab a snack. While it's easy to make these decisions mindlessly, the millions of people turning to TED Talks for insight and inspiration around food and eating says a lot about people's interest in positive change. We dug into the vast TED Talks archive to get the lowdown on food issues from experts who are trying to solve them. Check out the following 10 food-related TED Talks worth savoring. After reading an article by food writer Michael Pollan that suggested growing your own food as a powerful way to help the planet, Britta Riley and her friends challenged themselves to grow plants in used plastic bottles in her New York City apartment. Through trial, error and sharing their efforts online, they ended up with a salad-worthy vegetable garden. Inspired by the venture, "window farms" now thrive around the world. "Open-source projects tend to have a momentum of their own," she says in her popular 2011 TED Talk. "We ask that you join us in rediscovering the value of citizens united and to declare that we are all still pioneers." "How do you feed a city?" architect Carolyn Steel asks in her TED Talk, "How Food Shapes Our Cities," from 2009. As city populations continue to increase, so do demands for meat and dairy products. This fuels obesity and related diseases while causing tremendous damage to the environment. One solution, according to Steel, is shifting from mass food production to more organic, localized fare. "We know we are what we eat," she says. "We need to realize that the world is also what we eat. But if we take that idea, we can use food as a really powerful tool to shape the world better." Pamela Ronald is a plant geneticist married to an organic farmer. While they may seem like a case of opposites attract, they share the same goal. "We want to help nourish the growing population without further destroying the environment," Ronald says in her 2015 TED Talk, "The Case for Engineering Our Food." Genetic modification isn't new, she adds, and most foods have gone through modification of some kind. While GMO foods get a bad rap, Ronald asserts that such modification often makes foods healthier and safer, and misinformation about plant genetics often hurts the poorest people the most. These people, who most need the technology, she says, may be "denied access because of the vague fears and prejudices of those who have enough to eat." Without water there is no food, and the demands for both continue to swell with growing populations. Infrastructure engineer Fahad Al-Attiya works to keep the food supply secure in Qatar — a country that began with no water supply, yet has continued to grow and thrive, largely through importing most of its food. But the population has grown; diets are more meat-based, and crop yields have declined due to climate change. Something has to change to keep Qatar sustainable. And the solution for Qatar (and anywhere, really) lies in renewable energy, as Al-Attiya puts forth in his 2013 TED Talk, "A Country With No Water," describing our common resource: the sun. Author Paul Greenberg grew up fishing. By adulthood he noticed that the variety of fish he was seeing in the markets had dwindled to just four types: cod, salmon, shrimp and tuna. Upon investigating this shift, he learned that aquaculture (raising fish and seafood in controlled environments) had swelled drastically. This process hurts the environment and leads to the literal grinding up of millions of tons of other fish to become shrimp food. Greenburg poses ideas like eating less fish and more omega-3-rich vegetables like seaweed to balance out overfishing in his 2015 TED Talk, "The Four Fish We're Overeating." He also suggests creating alternate types of aquaculture fish. "We tend to go with our appetites rather than our minds," he says, but better options are possible. Flavor rules when it comes to making bread, according to master bread maker Peter Reinhart. And as consumers gravitate continually more to whole-grain options, bakers face the challenge of concocting bread that's not only nutritious, but also delicious. In his 2009 TED Talk, "The Art and Craft of Bread," Reinhart walks viewers through the 12 stages of bread making, comparing the transformational process to a caterpillar's metamorphosis into a butterfly and ending with a bread that's both healthy and enjoyable. "This is the product that everyone in the world eats that is so difficult to give up," he says of bread. "It's so deeply embedded in our psyches that bread is used as a symbol for life." Restaurants and the food industry in general are among the most wasteful industries, according to chef Arthur Potts Dawson. From tables and chairs made from recycled materials and a menu that allows eaters to choose their desired food amount to composting uneaten food in a garden, sustainable restaurants are possible. "Everything in nature is used up in a closed, continuous cycle, with waste being the end of the beginning, and that's been something that's been nurturing me for some time," Dawson says in his 2010 TED Talk, "A Vision for Sustainable Restaurants." "If we don't stand up and make a difference and think about sustainable food … then we may fail. But I wanted to get up and show you that we can do it if we're more responsible." The world population is expected to reach 10 billion by 2050, which will require a whopping 70 percent increase in food production. Today's agriculture can't meet that demand, says Lisa Dyson, CEO of technology company Kiverdi, in her 2016 TED Talk, "A Forgotten Space Age Technology Could Change How We Grow Food." Astronauts may have the answer. NASA scientists have discovered a way to bring packets of seeds into space, which can then produce crops in mere hours — but the program needs to shift from research phase to implementation. "Not only are we running out of space, but if we continue to operate under the status quo with modern agriculture, we run the risk of robbing our progeny of a beautiful planet," she says. "But it doesn't have to be this way. We can imagine a future of abundance." In his 2010 TED Prize-winning talk "Teach Every Child About Food," British chef Jamie Oliver asks the audience: "How many of you have children in this room today? We... have blessed our children with the destiny of a shorter lifespan than their own parents." While people commonly fear death by homicide or plane crashes, Oliver points out our current food culture has caused most of the leading causes of fatality. It largely boils down to daily food choices. His presentation encourages viewers to educate children on the basics and importance of cooking. "It's profoundly important that every single American child leaves school knowing how to cook 10 recipes that will save their life," he says. Cooking is "life skills." From food shortages to climate issues, food crises are erupting around the globe, says Caleb Harper, director of the Open Agriculture Initiative at the MIT Media Lab. What if the answer isn't big farm food production, but a digital farm? Harper and his team created a "food computer" with an interface that works like a game. Users can log in from a smartphone or tablet anywhere in the world then select and activate recipes by planting a seedling. The future of food won't be helped by arguing about what's problematic, he says in his 2016 TED Talk, "This Computer Will Grow Your Food in the Future," but by "networking the next 1 billion farmers and empowering them with a platform to ask and answer the question: 'What if?'"